“To get a hundred million parts, you must ransom one whole.” Blackbird says, “Saara Myrene Raappana’s poetry reaches deep into the inherent void of our mortality with a strength capable of giving voice to the dead, identifying an utterly human mark on the inanimate world.” In the world of Raappana’s Milk Tooth, Levee, Fever, the surest way to save yourself—whether you’re a goddess e-mailing her estranged mother, a waitress watching a hostage situation unfold, or a tourist being offered blood to drink—is to be brave enough to break. 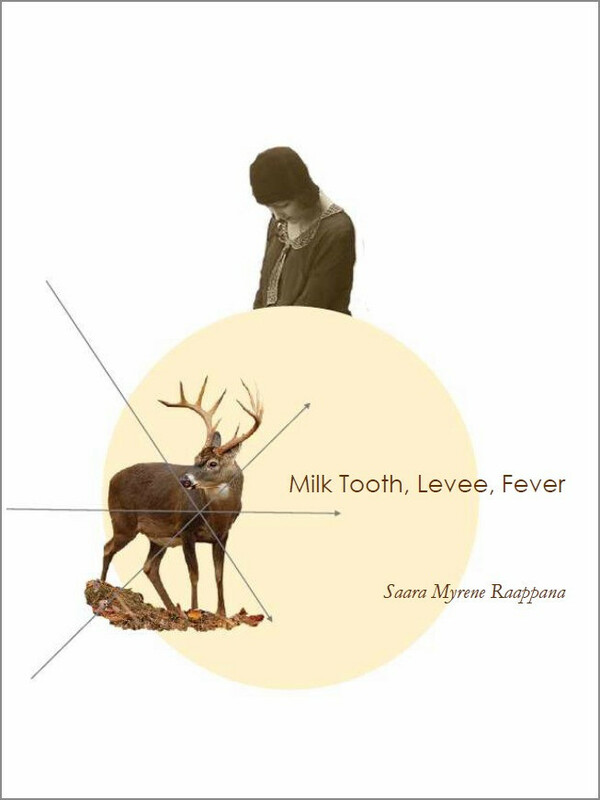 Saara Myrene Raappana is the author of the chapbook Milk Tooth, Levee, Fever (Dancing Girl Press, 2015). Her poems have appeared in such publications as 32 Poems, Blackbird, Harvard Review Online, Subtropics, The Gettysburg Review, and Verse Daily. She’s an editor for Cellpoems, a poetry journal distributed via text message that received an Innovations in Reading Award from the National Book Foundation. Born and raised in the Upper Peninsula of Michigan, she served as a Peace Corps Volunteer in southern China and currently lives in windy southwestern Minnesota with her husband. She likes animals, kropsua, ice fishing, and puns.